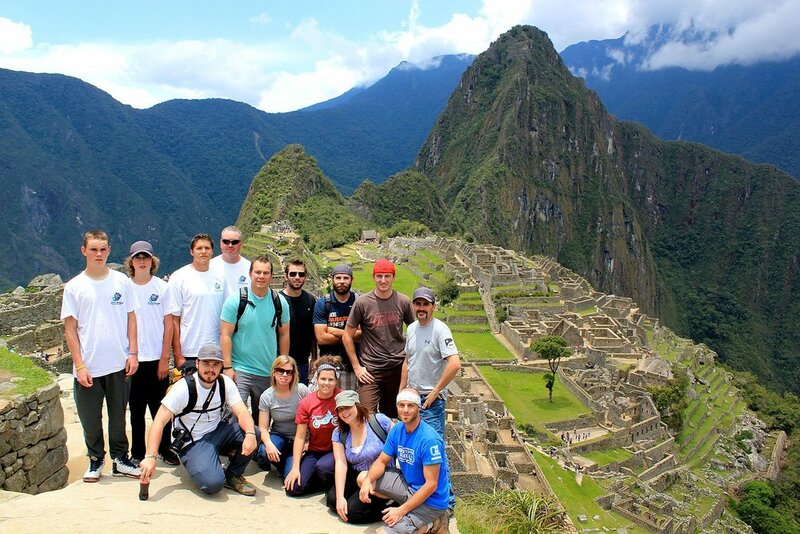 MAKE YOUR NEXT VOLUNTEER TRIP COUNT BY JOINING ONE OF OUR PROGRAMS AND BECOME PART OF A WORTHWHILE CAUSE IN PERU TODAY! Peru is a very popular country to travel within South America and has been for decades now. 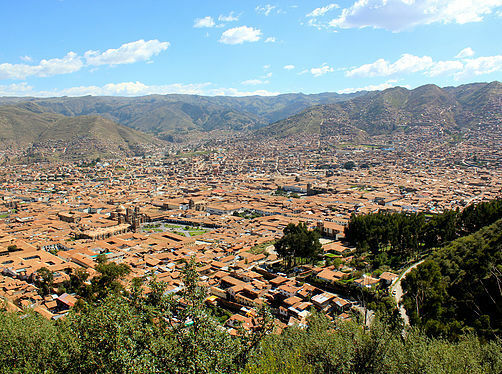 Every year, millions of tourists flock to the ancient Incan capital of Cuzco and take the train or walk the trails to get their chance to view the lost city of Machu Picchu. Along with these incredible sights, this country also boasts majestic landscapes along the Andes mountain ranges and spectacular scenery; including Lake Titicaca, which is the world's highest navigable lake. The challenges facing this country involves harsh exploitation of mineral resources which cause high levels of pollution, uses up scarce water supplies and fails to uplift the local people struggling to survive in their daily life of poverty. Indigenous groups in the Amazon and Andean mountain regions argue that the mines, dams and oil fields are destroying their ancestral lands and they are demanding recognition and protection over these areas. Over the last decade and a half, Peru has become one the world's largest producer of coca leaf, and now rivals Colombia for cocaine production. According to reports in 2009, drug trafficking made a major contribution to the economy and accounted for nearly 17% of the country's GDP. Environmentalists are concerned about the impact coca growing and cocaine production is having on the rain forests, both because of deforestation and the dumping of the chemicals involved in the drug's manufacture. As a volunteer, you can provide one of the greatest gifts to the people in this country, which is Education. It is believed that Education alone cannot eliminate poverty but is one of the greatest contributors to it. As a volunteer, you will be given an opportunity to make a difference to the lives of others and in doing so, the people you will work with will also make a difference in yours. The programs we offer are designed to provide an ethical volunteering experience whereby volunteers will not only share their skills but will also learn about the local communities getting to know the people and their culture. 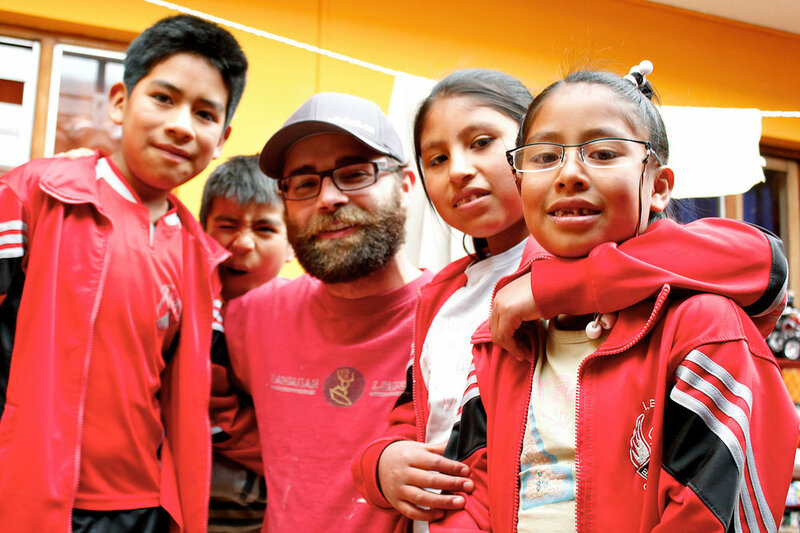 We are actively looking for enthusiastic and empathetic volunteers who want to experience community life while getting involved to make a difference with local projects, which are designed to help the most vulnerable children in Peru. If you venture to this foreign land the rewards will pay off instantly and your experience in the country will leave you wanting more. We recommend spending an extra week or two, either before or after your placement, to take in the sights and also to walk along some of the famous hiking trails that span throughout the Andes mountain ranges. WEATHER AND CLIMATE: The weather in Peru varies according to the geographical region. There is often snow in the mountainous regions and hot tempreatures are common along the coastal regions. Along the coastline, winter season is between the months of June to September. During this season along the coastline, the weather tends to be overcast and mild humidity, and the temperatures remain warm throughout the day. During this season in the mountainous regions, tempreatures are warm and often sunny during the day but colder at night. The rainy season in the mountainous regions of the Andes begins in September and peaks between January to March. Heavy rainfall occurs in the mountains and jungle regions during the months of December to April. In general, along the coastal regions, the rainfall is moderate and hot for the majority of the year. 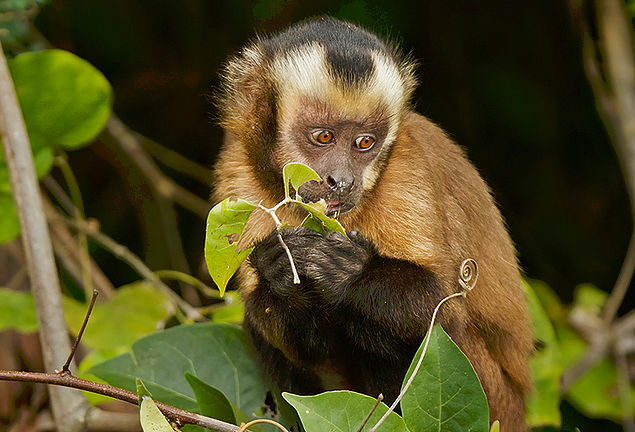 Assist our lowland Amazon rain forest bird research team as a volunteer or intern and experience life as an avifauna conservation biologist in the humid tropics. Learn field techniques for surveying forest understory bird diversity, population abundance, and community assemblage. These techniques include mist netting, bird banding and ringing, unbounded point counts, mixed-species flock follows, and much more besides. Volunteers will learn the basic techniques from our international team of avifauna experts. Intern candidates will learn in much more detail all aspects of the field techniques used, including the important molt cycle analysis process for ageing birds, as well as special visual and auditory techniques for species identification, data processing and analysis, and mapping. Interns also have the chance to lead their own personal research project on birds, for dissertation, thesis or independent publication purposes. As a volunteer or intern, you will assist our team in the Quellomayo area of the Vilcanota River valley, located in the Cusco region within the Buffer Zone of the Machu Picchu Sanctuary, with a broad mix of research activities relating to birds, mammals, amphibians, reptiles, insects and plants. You will need to be fit and energetic to make the most of assisting this team, as the terrain is hilly and even mountainous in places, requiring the team to climb up and down steep slopes and through cold mountain streams as they sample wildlife using transects, plots, mist-nets, and so forth. Field work takes place at altitudes ranging from 1,300 to 3,000 metres above sea level. As an amateur or professional photographer; during your internship (1-3 months), you will visit some of the most remote, fascinating and largely unspoiled parts of the Peruvian Amazon rain forest. Photography has now become an important component in many of our projects, as a way for us to answer certain biological questions, to better communicate what our field teams are trying so hard to achieve, as well as to illustrate our research, education, community development, and ultimately our biodiversity conservation outcomes for the benefit of policy makers, our donors, and our followers. With field leadership from professional photographers we can provide the necessary skills training for those people who may be unfamiliar with the photography techniques that work in this awesome if challenging environment. In parallel to providing our field teams in the Amazon with the imagery that they require, photography interns are free to collect imagery for their own portfolios. Assist our lowland rainforest Herpetofauna Research Team and live the life of an amphibian and reptile biologist in the humid tropics. Learn field techniques for studying rain forest amphibian and reptile diversity, population dynamics, and community assemblage, such as line transects in forest habitats, quadrat or plot counts, pit fall traps with drift fences, river and lake-side counts from boats, mark-release-recapture methods based on Passive Integrated Transponder (PIT) systems, and intensive searches of micro-habitats, including of course grimy swamps and log jammed streams. 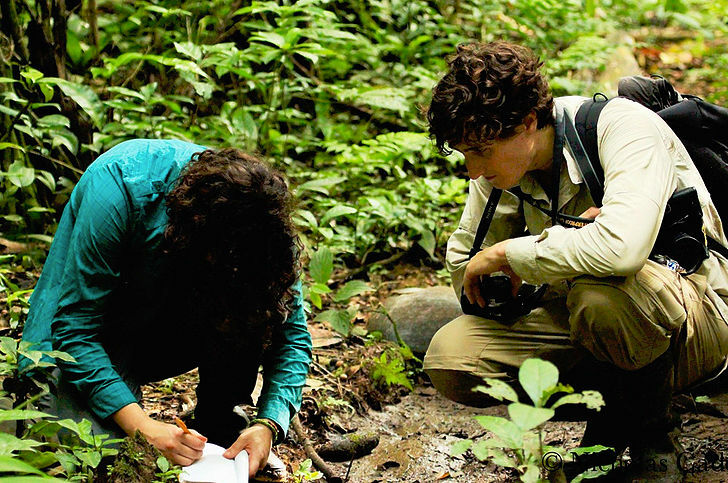 Volunteers will learn the basic survey techniques from our team of herpetology specialists. Successful intern candidates will learn in much more detail all aspects of the field research we undertake, including intensive training in proper snake, caiman, and amphibian handling techniques (venomous snakes however are not handled by non-specialists), snake identification via scale counts and color patterns, amphibian identification via calls, using PIT systems to determine movement patterns of reptiles, and data processing, analysis and mapping. Interns also have the chance to lead their own research project on amphibians and reptiles, for dissertation, thesis or personal publication purposes. Assist our Botany Research Team as a volunteer or intern with multiple tasks related to understanding the taxonomic diversity, abundance and community assemblage of 30 keystone tree species using plot and transect-based methods, including data analysis and interpretation techniques. All of the fauna monitoring teams require good quality botanical and forest structure information in order to help them understand the variables that affect fauna diversity and abundance within and between sites. In addition, we are very interested in monitoring the population status of large, canopy emergent trees at all our sites due to their local ecological importance in terms of fruit production, leaf fall, air temperature regulators, homes to many tree-dwelling animals and epiphytes, and also as immense stores of carbon. Our objectives are therefore to use standard plot-based census techniques to study the diversity, density, size class structure, phenology (flowering, fruiting, leaf fall, etc.) and distribution of trees within and between sites, including the recording of GPS location of large trees for future monitoring using satellite imagery. Some trees are also permanently marked using aluminum tags. In addition, the Botany Team is called upon to get intimately involved with any tree planting projects that our field partners undertake from time to time. Assist our Mammal Research Team as a volunteer or intern and learn to undertake camera trap, line transect, track based, and home range studies of terrestrial and arboreal mammals, including the techniques we use to identify the 50 species of medium to large sized mammals that we are interested in monitoring, and the skills required to process, analyze, map and interpret the field data collected. Interns also have the chance to lead their own mini-research project on mammals, for dissertation, thesis or personal publication purposes. Our mammal research team is tasked with establishing detailed baselines of information on the diversity and abundance of species at field sites using robust sampling methods; and then to periodically monitor these variables in conjunction with the environmental and human-related factors that can help explain the patterns in diversity and abundance observed over time within and between sites. These factors include habitat characteristics, climate, human activities (with an emphasis on threats), and the status of predators, prey, and parasites. Volunteer on the Animal Rescue Team and help injured, abandoned, and initially depressed wild animals, that have been found or confiscated, back on their feet and onto the path to recovery and reintroduction back into the forest where they belong. You will be taught to safely handle many species, help feed them, keep their enclosures clean and free of parasites, assist the resident vets with their rounds, and help plan and execute the safe reintroduction of animals back into their native habitat, and in some cases monitoring movement patterns of released individuals (having previously placed temporary locators on them). We have teamed up with two other non-profits in order to help deal with the growing problem of wild animals that have been found abandoned, injured, or confiscated by the local authorities because they were being abused or were being illegally trafficked out of the region to fuel the international trade in exotic pets. Together, our objectives are to improve the facilities and processes at animal rescue centers to allow safe and humane care to be given to wild animals brought to these centers; to rehabilitate the animals; to reintroduce those animals that are fit enough to be sent back into the wild (and to find permanent homes for those that cannot); and to educate local people regarding the plight of these wild animals, especially those species that are being trafficked or held as pets in unfavourable conditions in the hope that this will help stem the flow of animals towards these rescue centers. As an intern or a volunteer, you will assist our community engagement and development team with community and green business development activities, including basic village infrastructure projects (schools, health post, clean water systems and waste management, signage, etc. ), reviewing non-timber forest product extraction plans, agroforestry work, environmental education, market research, and so forth. This initiative is all about positive engagement with urban and rural communities in South Eastern Peru, bringing people and nature closer together, helping families appreciate the value of their community forests, inspiring teachers to inspire their students with inspiring wildlife rich educational opportunities, and encouraging the younger generation to think and act more sustainability. Our objectives are to maintain open door policies towards local people from urban and rural areas enabling them to explain the environmental and economic problems they face and to express their ideas for solving them and what kind of assistance they may require or need. Common ways we work closely with communities on; as a result of this process, are environmental education programs in primary and secondary schools; planning assistance with respect to community based ecotourism projects, non timber forest product development; finding appropriate donors for community led projects; and general accompaniment for communities who are transitioning to more sustainable methods of land use. As an intern (1-4 months), you will join our Forest Ranger Team and will play an important role in patrolling the boundaries of forest reserves, collecting data on potential and actual threats to the trees and wildlife within these reserves, liaising with local communities, other land owners, and government officials such as the ecological police. The rain forest of south-eastern Peru holds more biological diversity than almost any other region on our planet. We take our workshop participants from pristine lowland rain forest where biological diversity is at its most brilliant, along the controversial Interoceanic Highway to see some of the most devastating deforestation on Earth, and finally through the cloud forest to Machu Picchu to experience the highest and most spectacular altitudes of the Amazon and the breathtaking ancient ruins which lie within. The main focus of the tour will be the Amazon Basin where our participants can enjoy the unique opportunity of working alongside our partner’s projects in Tambopata which offer the chance to get up close and personal with a number of colorful rain forest species. The trip will end with a spectacular trek (or equally ‘breathtaking’ train and bus ride) to the World famous Inca ruins of Machu Picchu. As a volunteer or intern on the Medicinal Plant Team, you will get an opportunity to visit several native communities in the Madre de Dios region of Peru and assist the team with collecting information, imagery and video concerning community-use of medicinal plants, as guided by a plan developed in conjunction with the communities we work with. Having liaised and discussed with a number of native communities to identify solutions to some of the issues they face, one important activity identified was to help them document existing use of medicinal plants, how and why plant use varied both within and between communities, and to use this information and associated imagery to develop educational materials for the younger generations of the communities (who have had less exposure to medicinal plant use) and for short-term visitors such as local university students and ecotourists - which are welcome at some locations. One of the main objectives is to develop a set of photo guides (one per community) to assist the identification of medicinal plants, with text describing usage in various languages (Yine, Amahuaca, Ese’eja, Spanish, English), with originals and copies lodges with the respective participating communities. 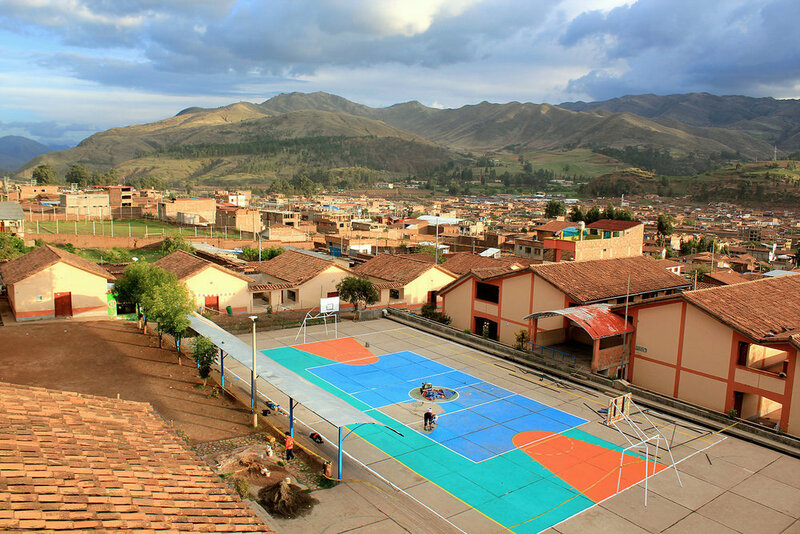 Program Fee – airport pick-up (from Padre Aldamiz // Puerto Maldonado International Airport only), orientation, program supervision, accommodation (private or dormitory style) and meals during volunteer program period, in-country 24/7 volunteer support and in country administration costs.